It’s never been more fashionable to be fanatical about eating healthy foods, with raw food places opening up all the time and green juices filling our Instagram feed. But, are some so-called healthy foods not that good for you at all, and could they actually make you put on weight instead of helping you to lose it? Here we take a look at some ‘healthy’ foods that might not be the healthiest option, and explain why you should avoid them when taking phentermine. While kale was once thought only fit to be served as pig feed, it’s now a by-word for healthy eating. But does it live up to its healthy reputation? Not really. Although kale scores high in nutrition, it’s also top of the list when it comes to pesticide/herbicide content if you’re not getting the organic variety, so it’s not a particularly affordable healthy food, unlike these. In addition, when kale is eaten raw and uncooked, it can have goitregenic effects, meaning it can disrupt thyroid functioning. Since many phentermine users are overweight due to thyroid issues, both diagnosed and undiagnosed, it would therefore be advisable to avoid over-consuming kale. Instead, use spinach and other green veg to bulk up the nutrient content of your smoothies and be sure to stick to organic kale served slightly steamed if you do eat it. While it’s great that people are finally realizing just how unhealthy sugar is, and how much it can slow down weight loss with phentermine, the alternatives that then appear to give us the sweet fix we often crave aren’t necessarily any better for us. Agave, or agave nectar, is often used as a sweetener in many raw cakes and cookies, and has been heralded as a healthy sweetener, which simply isn’t true. Agave is extracted from the cactus plant, and is therefore presented as a ‘natural’ sweetener, perfect for those of us who are getting to realize that artificial sweeteners found in products like soda can actually increase our sweet cravings as well as our waist size. Except, agave isn’t so perfect; most people avoid sugar because it is highly refined, but agave, which is more like a syrup, is also highly refined. It’s also high in fructose, which can be more detrimental than regular sugar. In fact, the manufacturing process of agave nectar is similar to how other unhealthy sweeteners are made, such as High Fructose Corn Syrup (HFCS). HFCS has been linked to obesity, cardiovascular disease, diabetes and non-alcoholic fatty liver disease. Critics argue that HFCS is more harmful to humans than regular sugar, contributing to weight gain by affecting normal appetite functions, meaning that it actually increases your appetite, working against phentermine’s appetite-suppressing effects. In addition, when people feel that they are consuming a more virtuous food, they’ll often eat more of it and more often, undoing all their good intentions to be healthier. So, forget the fads and stick to naturally sweet foods such as seasonal fruits, which pack enough nutrients and fiber to ensure that they really are a healthy way to get your sweet fix. Although bringing a healthy homemade lunch to work is often the healthiest choice, if we do get caught out with nothing to eat come midday, many of us might think that opting for sushi is a better lunchtime choice than a sandwich. However, sushi isn’t as healthy as it seems; firstly, it’s typically made with white rice, which contains far less fiber than brown rice. White rice behaves almost like sugar in the bloodstream, spiking insulin levels and not filling you up for very long. Plus, it is typically much more processed than brown rice, leaving no nutritional benefits. Sushi also contains very small amounts of protein, which do nothing to set off these effects. 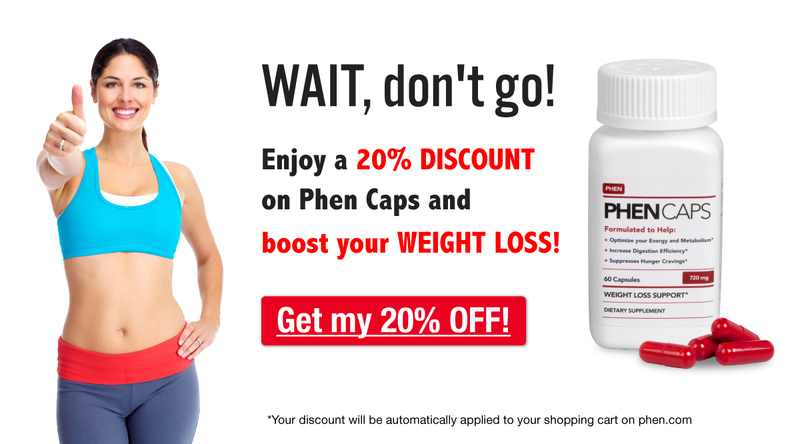 In addition, the sauces that accompany sushi are often full of additives, which are a real no-no for people taking phentermine as they can increase the acidity of the body’s pH levels, meaning phentermine loses its effectiveness more quickly. Japanese food can offer many healthy options, such a delicious cuts of salmon and edamame, but pre-packaged sushi isn’t often one of them, since it is overly-adapted for the Western market in a rush at lunchtime. If you do forget your lunch, a sandwich can often be a cleaner option; if you’re able to choose fillings then this can save you a lot of calories and additives, and remember to go for bread made from healthy grains like rye, spelt or sourdough. No, not the homemade versions, we’re talking about those bought in the store. Firstly, tinned soups often labeled as ‘healthy’ are able to get away with this by giving nutritional readings for a much smaller serving size than a person would generally consume, making it seem like the soup has half the sodium than it really contains. Even soups bought in the refrigerated produce section, which are often perceived by the customer as being healthier than tinned options, are full of stabilizers, sugars and other additives which can undo all your good work and make phentermine less effective. So, be sure to check the labels and ingredients carefully before buying, or better yet, make it yourself. The best thing about making your own soup is that you can add whatever veggies you love to it – our personal favorite is tomato and roasted red pepper soup, but just follow this recipe here to find your own personal favorite. Breakfast cereals are notorious for promoting their health benefits such as how they’re fortified with vitamins, but that doesn’t stop them being full of sugar and actually not good for you at all. But, while you might be leaving your cheerios on the shelf in favor of granola lately, this change isn’t as virtuous as you might think, as most brands of granola are laden with sugar and high levels of fat. If you’re a granola fan, it’s much better to make your own; place a cup of mixed almonds, cashews and pecans and a cup of oats on a foil-lined baking tray and drizzle with coconut oil then bake at 400°F for 20 minutes. Remove from the oven and leave to cool, then combine with raw coconut chips. Serve yourself a small portion from this with fresh fruit for added sweetness and some unsweetened Greek yogurt. Otherwise, stick to steel-cut oatmeal, a great fat-burner and naturally very low in sugar, and then use sliced fruit or cinnamon to sweeten your bowl for one of the healthiest breakfasts around. Soy milk was once the go-to healthy option for those shunning dairy, but soy milk can have a lot more negative effects on the body than its dairy counterparts. If you opt for soy milk you need to know your brands; many include unhealthy ingredients which are added in the process of making it, and you also need to check that it’s not made from GMO modified beans. Soy is also a natural phytoestrogen, which means that it can mimic the effects of estrogen in the body, which is bad for anyone suffering from hormone conditions such as hypothyroidism and hyperthyroidism, or PCOS. Since many phentermine users have weight problems due to hormone issues such as these, it would be advisable to steer clear of soy milk while trying to lose weight. Lastly, while you may be choosing soy milk to avoid the digestive issues you blamed on dairy, soy can actually cause similar symptoms in many people, such as bloating, water retention and discomfort. So, our advice is to stick to skimmed regular milk, or if you have been diagnosed as lactose intolerant then other alternatives such as almond milk or oat milk could be better choices, however, try to check out the brand before you buy, as some are more processed than others. Do you regularly eat these so-called healthy foods thinking that they’re helping you to lose weight with phentermine? Let us know your reaction to this article by commenting below. Excellent list of foods purported to be healthy. I’m a bit surprised at Kale. I’m going to juice while on Phentermine. Kale is healthy but as we explained, it’s better not to eat it raw due to the way it can interfere with thyroid functioning. It could be a good idea to switch to spinach as a vegetable basis for smoothies so you get lots of goodness and all of the fiber, unlike with juicing. You say kale is bad for your thyroid function. What if you are taking thyroid medicine. Will kale still interfere? It’s really only uncooked kale that has been found to disrupt thyroid functioning, but whether you are taking thyroid medication or not it’s best to avoid raw kale as it may inhibit the effectiveness of the thyroid meds. Stick to lightly steamed kale or just eat other greens like spinach instead. Yes, I have been saying this for months – great article! The way I see it is, there are no new foods that are suddenly healthy, there is always a catch, so this shows that you cant have it all – if you want sweet, have fruit, if you want vegetables, kale isn’t as magical as people think – maybe that’s why it was just for pigs before lol. If you want milk, drink milk, none of this almond water stuff or soy plus hormones, no thank you!